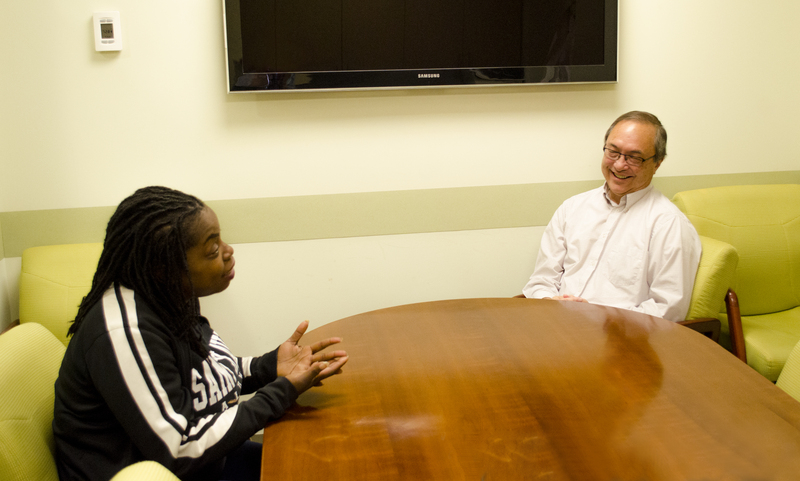 The Bergman Institute for Psychological Support provides counseling services through the Forsythe Center for Comprehensive Vision Care to meet the emotional needs of individuals adapting to vision loss. Low vision is often linked to poor psychosocial functioning, including lesser life satisfaction, increased daily living stress, feelings of inadequacy and low self-esteem. Our counseling program is designed to assist patients with the emotional and behavioral effects of functional loss through evidence-based therapeutic interventions. We offer individual, family and group therapy sessions. Individual therapy offers a one-on-one setting for patients to discuss issues related to adjusting to vision loss. Family and group therapy provides a supportive environment to address stress management, practice problem solving skills and help build social support networks. When: Alternating Thursdays, 3 – 4:30 p.m. The Forsythe Center delivers comprehensive vision rehabilitation services to individuals with vision loss. Optometrists, occupational therapists, psychologists and researchers specializing in low vision work closely with other Lighthouse rehabilitation experts to help patients maximize remaining vision and adapt to life at all stages of vision loss.